The Road to Value will gain ground in several areas to benefit you and your patients. In Delaware, reimbursement for primary care services is below the national average. Work is underway to remedy that by requiring insurers to reimburse providers at a rate that is at least equal to Medicare rates. The national average for primary care spending for an insurance plan is between 6 and 8 percent of the insurer’s total medical expenditures. Studies recommend, and some states are actively implementing, a 12 to 15 percent spending rate to have an effective system. Delaware’s average insurance spending on chronic care management and primary care is between 3 and 4 percent. Nationally, insurance reimbursement for primary care averages between 120 and 140 percent of Medicare rates. In Delaware, the commercial market reimburses independent primary care at rates as low as 65 to 85 percent of Medicare rates. In Delaware, a new act simultaneously offers short-term and long-term solutions to strengthen the primary care system by requiring reimbursements that are at least equal to Medicare rates. Getting providers ready for payment reform. One of our priorities is to help providers grow their capacity to integrate data, improve the coordination of patient care, and increase their readiness to integrate into a total-cost-of-care model or an Alternative Payment Model. The Delaware Health Care Commission awarded mini grants in amounts ranging from $25,000 to $250,000 to practices throughout the state to help them with payment reform. In addition, to accelerate payment reform, Delaware Health and Social Services in 2018 entered into a value-based purchasing care initiative through contracts in its Medicaid Managed Care Program. The initiative will transition the system away from traditional fee-for-service, volume-based care to one that focuses on rewarding and incentivizing improved patient outcomes, value, quality improvements, and reduced expenditures. Resolving access issues and improving transparency. We know that a high percentage of primary care providers will no longer be in practice in 10 years. A Primary Care Collaborative has been formed to develop a plan to bring new providers to Delaware. 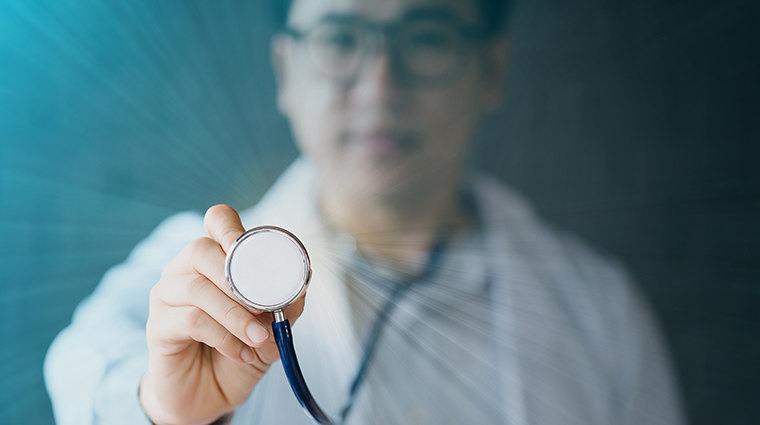 The Primary Care Collaborative is working on long-term solutions to keep primary care providers in Delaware and to attract new physicians to our state. Senate Bill 227, which created the Collaborative, also mandates that all health insurance providers participate in a Health Care Claims Database. Helping to integrate behavioral health. Like you, we recognize the important connection between primary care and behavioral health. More than three dozen practices throughout the state already participate in behavioral health integration assistance. Technical assistance has been given to providers in the form of individual coaching, readiness assessments, knowledge-sharing opportunities, and more. And work is also underway to encourage payment incentives for incorporating behavioral health into primary care. Work began two years ago to offer local communities more ways to stay healthy — particularly those that have demonstrated significant need. That work will continue under the guidance of Healthy Communities Delaware . Healthy Communities Delaware is a new entity that has been created to identify the specific needs in communities and bring people together to create programs to meet those needs. It is a partnership spearheaded by the State of Delaware, the University of Delaware and the Delaware Community Foundation, with the support of public, nonprofit and private organizations throughout the state. The result will be a healthy environment that fosters healthier patients. Pediatricians and primary care providers must be the quarterbacks of the health care team.